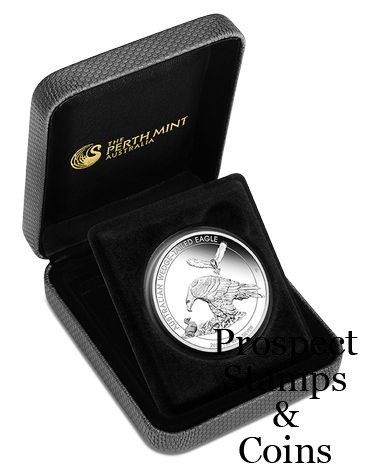 This beautiful silver coin celebrates one of Australia’s most incredible birds of prey, the wedge-tailed eagle. These majestic creatures can often be seen perched in trees and on rocks and cliffs, from where they have a clear view of their surroundings, enabling them to defend their territory and identify prey. 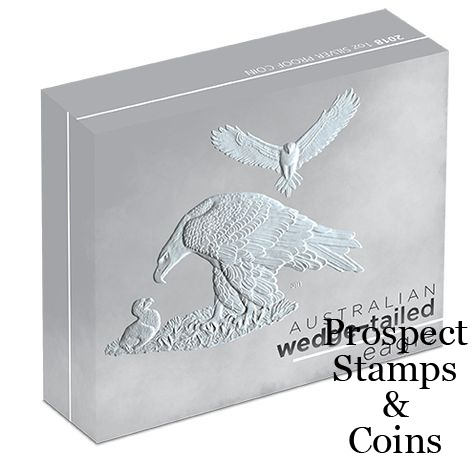 The Perth Mint will issue no more than 5,000 of the Australian Wedge-tailed Eagle 2018 1oz Silver Proof Coin. 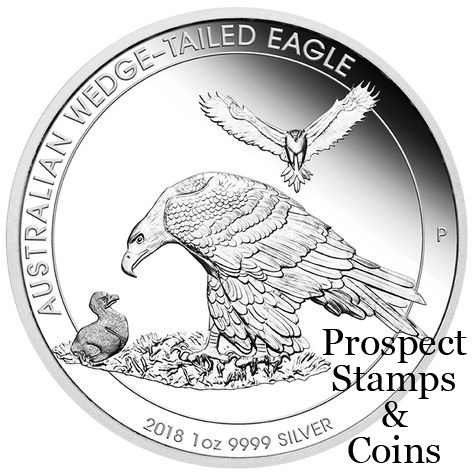 The coin’s reverse depicts a mother wedge-tailed eagle looking down on a chick. A male bird is portrayed hovering above them with its magnificent wings fully extended. 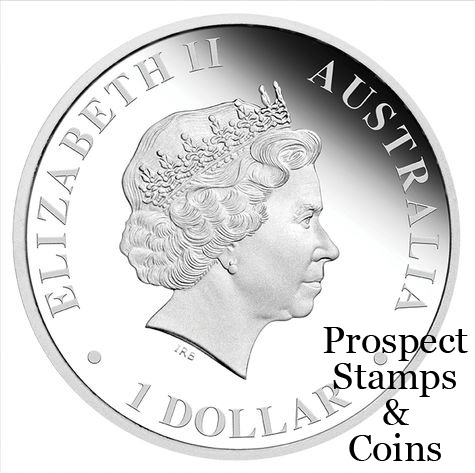 Each coin is housed in a classic grey display case within an illustrated shipper and accompanied by a numbered Certificate of Authenticity.